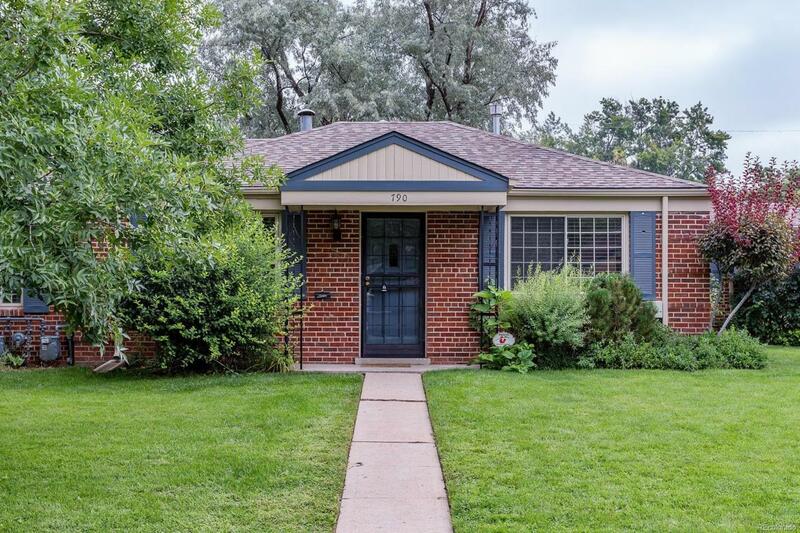 CHARMING UPDATED BRICK TOWNHOME. GREAT LOCATION ON A QUIET STREET. HALE IS AN AREA THAT IS HIGHLY ACCESSIBLE TO ALL THE WORK AND PLAY IN DOWNTOWN WITH LOTS OF GREAT COFFEE SHOPS AND EATERIES NEARBY. TWO BEDROOMS, ONE BATH, WITH A FLEX SPACE, LARGE DINING AND LIVING AREA, FRONT LAWN AND PRIVATE BACK PATIO. HOA IS RESPONSIBLE FOR LAWN CARE INCLUDING MOWING & SNOW SHOVELING. OFF OF 8AVE, ACESS IS EASY TO AMENITIES IN THIS BEAUTIFUL AND POPULAR NEIGHBORHOOD, WITH JUST A SHORT DISTANCE TO TRADER JOES. WOOD FLOORS, AN UPDATED KITCHEN, 1 CAR GARAGE WITH A STORAGE UNIT. ON END WITH LOTS OF SOUTHERN AND WESTERN EXPOSURE. GREAT TO LIVE IN OR EASY RENTAL.